The Gaire Blunt Scholarship is offered by the Business Law Section of the Law Council of Australia (BLS) for papers on a topic in the field of competition law. First awarded in 2008, it commemorates Gaire Blunt, a leading competition law practitioner and a partner at Allen Allen & Hemsley (now Allens) from 1970 to 2005. About After the enactment of the Trade Practices Act in 1974, Gaire was in the vanguard of those who were to shape the form, regulation and administration of competition law in Australia. He was a member of the inaugural Trade Practices Committee (now Competition and Consumer Committee) of the BLS, the first Consulting Editor to the CCH Trade Practices Reporter, and one of the leading practitioners in the field. For almost 10 years Gaire was a lay member of the Administrative Division of the New Zealand High Court. This scholarship recognises that Gaire played a central role in developing and mentoring the careers of many young lawyers and was always concerned to ensure that he gave younger lawyers the opportunity to demonstrate and develop their talents. Applications for the scholarship are now open. Submit your application by 5pm, 30 August 2019 AEST. Applications must be submitted on an official application form. Please submit applications to BLS Administrator, Jessica Morrow, via email Jessica.Morrow@lawcouncil.asn.au or phone 02 6246 3737. The 2018 Gaire Blunt Scholarship was awarded to Andrew McClenahan for his paper entitled, “Agents As Competitors? The Implications of ACCC v Flight Centre for Dual Distribution”. In his paper Andrew critically analysed the Flight Centre judgment, in which a majority of the High Court held that an agent can be a competitor of its principal under Australia's cartel laws. He argued that the High Court's decision is inconsistent with conventional agency doctrines and the fundamental purposes of competition law. He concluded that law reform is warranted following Flight Centre to address the risk of inappropriately capturing economically efficient, dual distribution arrangements under the cartel provisions. Andrew is a lawyer in Ashurst's competition team in Sydney. He graduated with a Bachelor of Laws with First Class Honours and a Bachelor of Science from Macquarie University in 2017. During his studies, Andrew was awarded the Dean's Award for Outstanding Academic Achievement in Law, the Clayton Utz Prize for Competition and Consumer Law, and the Macquarie Law School Prize for Intellectual Property Law. 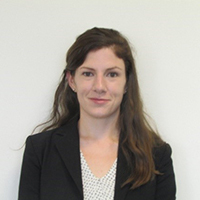 Kate James won the 2017 Gaire Blunt Scholarship for her paper entitled ‘Implementing competition law in developing countries: Barriers to success and the role of technical assistance’. The paper discusses the significant benefits competition policy can produce for developing countries and the substantial obstacles young agencies may face during the implementation process. It concludes that technical assistance programs can perform a vital role in overcoming these barriers. Collete Downie was awarded the 2016 Gaire Blunt Scholarship for her paper entitled, ‘Strategically Deterring Generic Entry Ahead of Patent Expiry: Is Misuse of Market Power the Antidote? Assessing Australian Pharmaceutical Antitrust Enforcement After ACCC v Pfizer’. The paper critiques the decision in ACCC v Pfizer Australia Pty Ltd and considers the likely impact of the case on future pharmaceutical antitrust cases by examining how conduct known as "product hopping" is likely to be assessed under Australia's competition regime. The paper concludes that Australia's misuse of market power prohibitions will be an important antitrust enforcement tool in order to moderate unilateral conduct by pharmaceutical originators which is designed to strategically deter generic entry ahead of patent expiry. 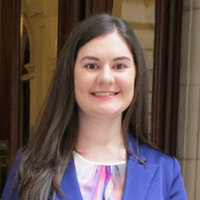 An earlier version of her paper was submitted for assessment for Colette's graduate studies at the Melbourne Law School. Dr Wendy Ng was awarded the 2015 Gaire Blunt Scholarship for her paper, ‘The independence of Chinese competition agencies and the impact on competition enforcement in China’. She investigates the degree of independence possessed by competition agencies in China whether and how it has influenced competition enforcement. She argues that a multidimensional concept of agency independence is key to understand Chinese competition enforcement. Vivienne Pham won the 2012 Gaire Blunt Scholarship for her paper entitled ‘The Treatment of Efficiencies in the Merger Clearance Process’. Her paper discusses how well the ACCC takes into account merger efficiencies in the informal clearance process and compares this to the practice of the Federal Trade Commission under the US antitrust regime. She argues for the need for a more robust framework for efficiency analysis to facilitate a fair process for parties to put forward merger- related efficiencies that may contribute to a positive net welfare gain. 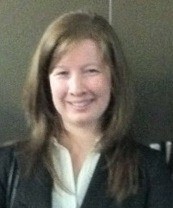 Sarah Lynch was awarded the 2011 Gaire Blunt Scholarship for her paper on anti-competitive business practices in Australia. The paper explores the effectiveness of cartel laws in Australia and whether or not individuals affected by cartels are receiving adequate compensation and redress. Matthew Eglezos graduated in 2009 from Monash University with first class honours in law and was awarded the Supreme Court Prize for Best Honours Student. Matthew was also a recipient of the Monash University National Scholarship for Excellence, was a member of the Monash University Law Review Editorial Committee, and was involved in national and international mooting competitions. Matthew's Gaire Blunt Scholarship paper ‘Recovering Cartel Damages: the 'Passing-On' Defence Under the Trade Practices Act’ is an edited version of a thesis he submitted in partial fulfilment of the requirements of his law. 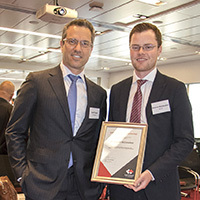 Daniel Clarry won the inaugural Gaire Blunt Scholarship in 2008 for his paper ‘Contemporary Approaches to Market Definition: Taking into account international markets under Part IV of the Trade Practices Act 1974’. In his paper, Daniel considered the scope of Australian competition laws, and particularly the ACCC's power, to regulate competition in international markets. Daniel argued that an international dimension to the contemporary market definition is now unavoidable and perspectives need to be adjusted to take into account this economic and commercial reality. Gaire Blunt Scholarship Flyer 2019. Gaire Bunt Scholarship Application Form.